We help founders & CEOs turn their subject matter expertise into a structured, scalable and simple sales process that fuels their growth. 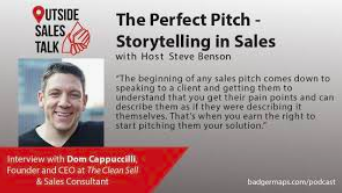 The Clean Sell is a B2B sales consultancy helping everyone from startups to Fortune 500 companies to create a structured, scalable and simple sales effort in line with best practices. Throughout a company’s lifecycle, there are key inflection points where a lack of sales knowledge and process can sabotage a business that should be thriving. We fill these gaps for our clients. No matter what stage you’re in, we have the right solution for you. Welcome to The Clean Sell! What If My Product Doesn't Solve A Problem?